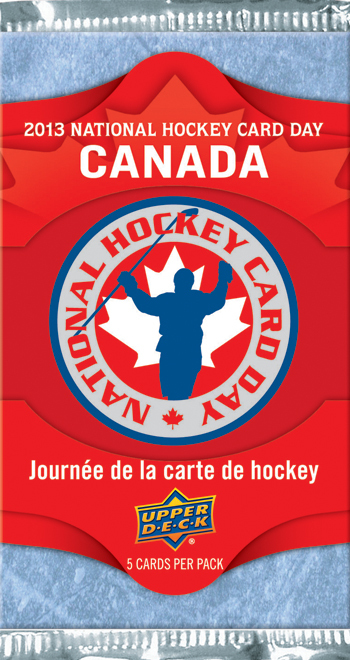 Brag Photo: National Hockey Card Day Returns to Canada and the U.S.A. for 2013! With uncertainty about a new NHL season, fans have been curious about whether Upper Deck would bring back the ultra-popular National Hockey Card Day event in Canada and the U.S.A. Today Upper Deck is happy to report that both promotions will be back for 2013 with National Hockey Card Day in Canada set to take place on Saturday, February 9, 2013 and National Hockey Card Day in the U.S.A. slated to take place on Saturday, February 16, 2013. Similar to years prior, Certified Diamond Dealers can purchase packs through their Authorized Upper Deck Distributor for a nominal price. Dealers will give these packs away on the event date to puck fans who visit their shop. And this season the packs should be very exciting with improved collation to ensure a better mix of players in each pack and randomly inserted autograph cards! Take a sneak peek at some of the key cards in the sets along with some other important information on the promotions! 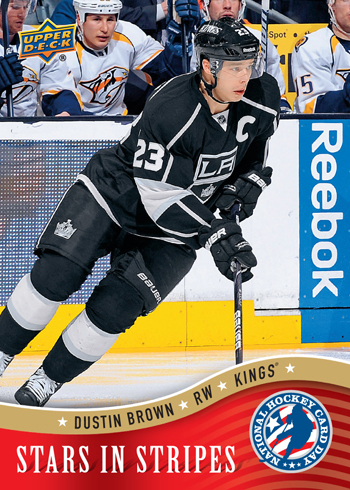 For the 2013 program, all 15 players will be featured as members of Team Canada (an Upper Deck exclusive). The 16th card is available as a gift with purchase and featured Wayne Gretzky and Mario Lemieux together on the same card in the 1987 Canada Cup! Collect the best Canadian-born hockey players in this set! The U.S.A. version of the program captures the top American-born stars along with huge international stars playing for top American franchises. 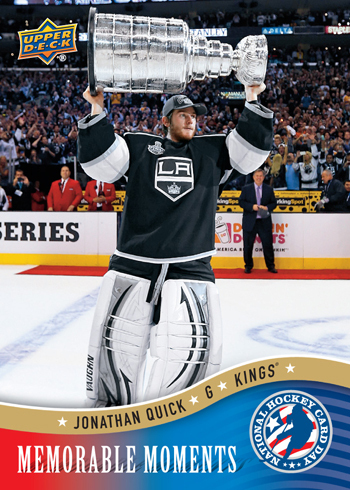 The 16th card is available as a gift with purchase and will feature Jonathan Quick hoisting the Stanley Cup after his memorable championship run last season! A new lower price point on National Hockey Card Day in the U.S.A. packs makes it even easier for shops to take part in the promotion! 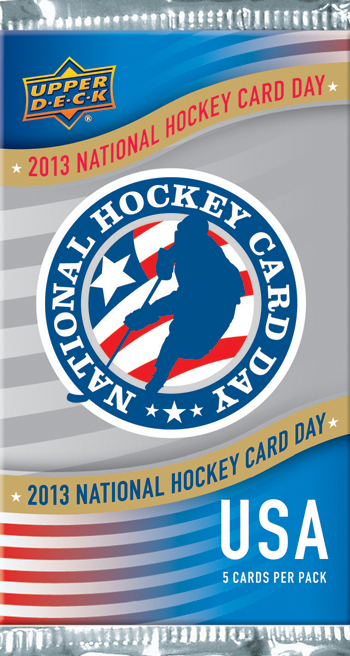 Look for more details on 2013 National Hockey Card Day coming soon and make sure to become a fan of the promotion on Facebook! Also, encourage your local hobby shop to take part in the promotion! Keep the hockey card hobby strong!!!! !